This abstract symbol of a room reminds us that all our business is focused on rooms in buildings. We believe every room should be comfortable, healthy and ecologically sustainable. This symbol of a molecule represents our scientific approach to HVAC design. It reminds us that ecologically designed buildings use the least amount of chemicals, pollutants and energy in operation, in construction, in failure of the system and in recycling / decommissioning of the building. ‘e’ – it reminds us of our company name, our core values of ecology and energy efficiency and our code of ethics. We supply high quality HVAC systems and products internationally. We assist end users, designers and installers with HVAC design. We focus on safety, sustainability, compliance and best practice. Our mission is to deliver safer, greener, healthier and better buildings while simultaneously reducing capital investment, maintenance and refurbishment costs. Reduce the use of HFCs in buildings. The ecological interaction between a person and their environment provides the healthiest conditions for the person while simultaneously providing the best level of comfort, energy use and sustainability. Ecological indoor environments are provided with HVAC systems comprised of components that are ecologically sourced, meaning that the least amount of environmental damage has been done while sourcing the raw materials and producing the components and chemicals (refrigerants and anti-freeze) in the system. The systems which provide ecological indoor environments use very little energy. Ecological indoor environments use no fossil fuels. The production of heat and electricity for the building does not use fossil fuels at any stage if possible, including the transportation of the fuel. Locally sourced non-fossil-fuel-energy must be used. This does not permit transporting wood-pellets or other non-fossil fuels over distances of more than 100km. The amount of fossil-fuel-CO2 used to produce, transport and install photo voltaic panels must be less than the amount of fossil-fuel-CO2 saved by using the PV panel. In low polluting HVAC systems, if a failure or breakdown of the system occurs, harmful pollutants are not released into the atmosphere and occupants are not at risk. An ecological HVAC system is an easily repairable system with locally available components. During decommissioning and recycling of an ecological sound HVAC system, refrigerants or anti-freeze is not released and all of the components and fluids are re-usable and recyclable. At Entropic we have many years of experience working with large industrial and commercial customers to implement energy saving technologies and systems. Our experience with large industrial ventilation systems has helped some of the largest energy users in Ireland to significantly reduce their energy consumption, fossil-fuel-CO2 emissions and overhead costs. Michael is the founder and managing director of Entropic. As a building services engineer with a genuine interest in ecology and the environment, he has focused the company on providing safety, simplicity and quality in every aspect of ventilation for industrial, commercial, healthcare and public buildings. He continually demonstrates that simplicity and clarity when defining the user requirements always leads to a better result. Michael demonstrates that by using EN and ISO standards to clearly specify the performance required in challenging environments including data centres, cleanrooms, high class offices, hotels, operating theatres, isolation rooms and patient rooms, the client is best positioned to ensure the optimum balance of investment, performance and life cycle of the entire ventilation system. B.Sc. (Surv.) Construction Economics. Dip. Con. Econ. Quantity Surveying. Dip. Construction Law and Contract Administration. Declan has an excellent knowledge of all ventilation systems and has been involved in design and implementation of many successful projects. His expertise has enabled many complex turnkey solutions to be provided to a long list of repeat customers. With a QS background, Declan has a key commercial role within Entropic and he also works on Value Engineering solutions tailored to customer’s requirements. Specialist Area: Fire Safety Solutions, Cleanroom Ventilation. Graham has an extensive knowledge in all HVAC areas and uses this to give customers the highest quality, highest comfort and most energy efficient systems available. Graham comes from a highly competitive background in kayaking at international level and more recently marathon running. He brings the same dedication from his training to the work place to ensure projects milestones and completion dates are achieved. BEng (Hons) in Mechanical Engineering with First Class Honours. Specialist Area: Air Handling Units, Data Centre Ventilation. Mark has become a specialist in designing Air Handling Units (AHUs), in particular AHUs that achieve the stringent requirements of Data Centre projects. Based on AHU’s designed and delivered by Mark, many clients have written new guidelines on Air Handling Unit Specification. His passion for in-line skating has given him a passport to travel the world and immerse himself in new cultures.  Entropic has always had an unquestionable record of integrity, honesty and environmental protection. These are the core values of our company and they are the foundation of our Ethics Policy. The constant and continued success of our company is the result of this deeply rooted culture of ethics and integrity. Respect for people, their safety and for the environment have always, and will always be the guiding principles of our choices and decisions. Acting with integrity attracts and keeps the best employees, it preserves the ethical reputation of the company and fulfils the high expectations of our customers, partners and community. It is crucial to creating a sustainable business. Our Ethics Policy shall always be the guidance to all our decisions and actions, promoting a common understanding of what is correct and what is not, no matter what context we are operating in. You are now aware of the behaviour that you will encounter when you work with us and what we expect from you, your colleagues, our partners, customers and our suppliers. I would like to take this opportunity to thank you for your continued support and commitment to keep the integrity of our company.